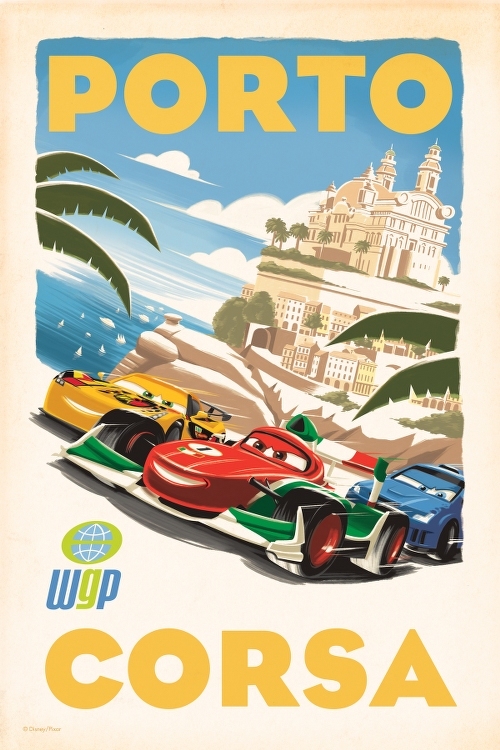 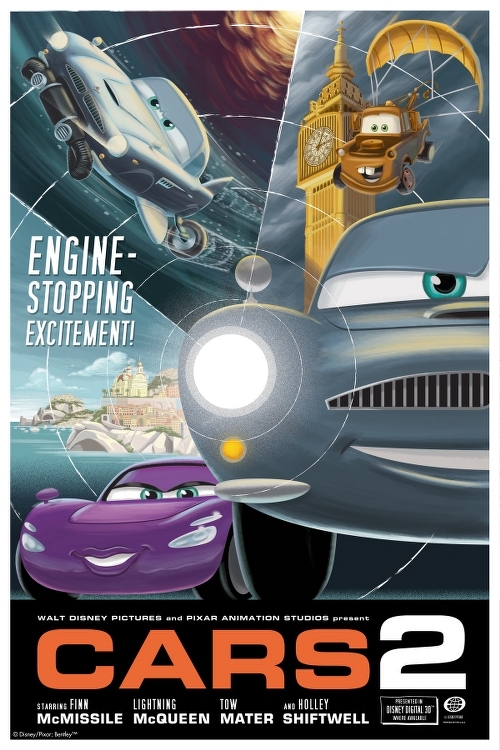 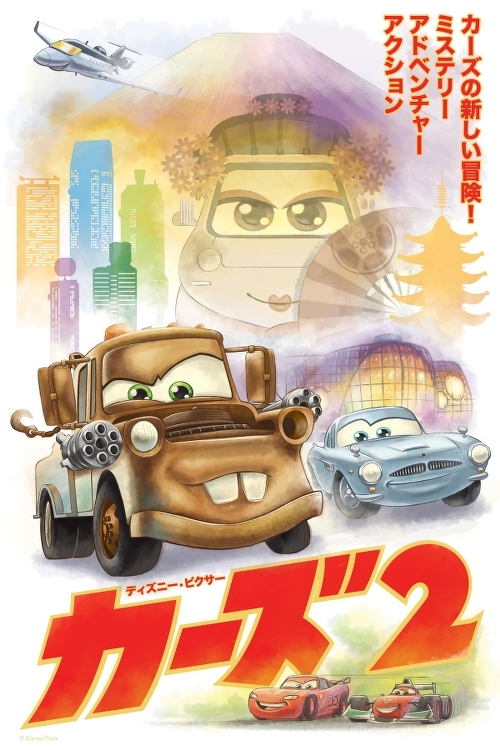 More retro posters for Cars 2. 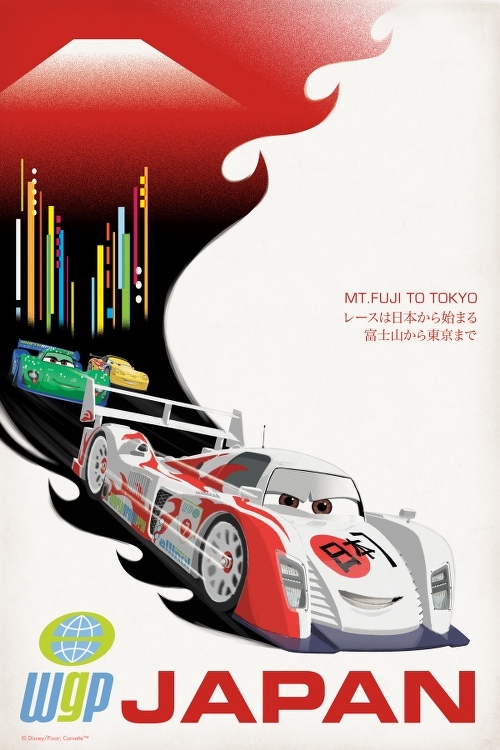 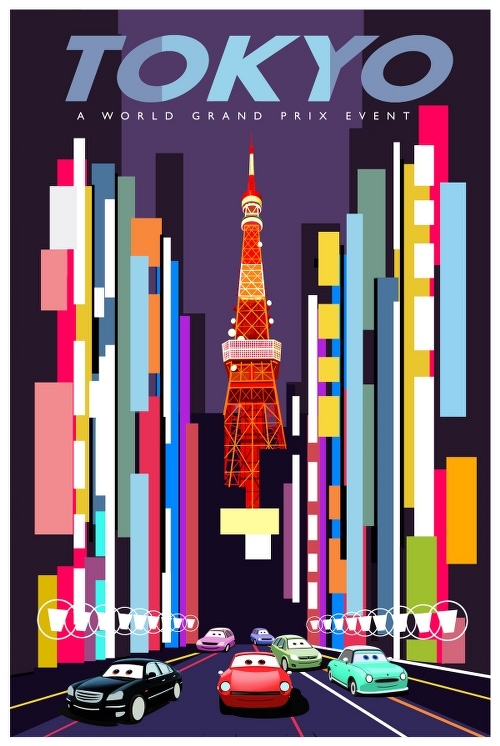 This time they are for the "World Grand Prix", the central aim for the new film. 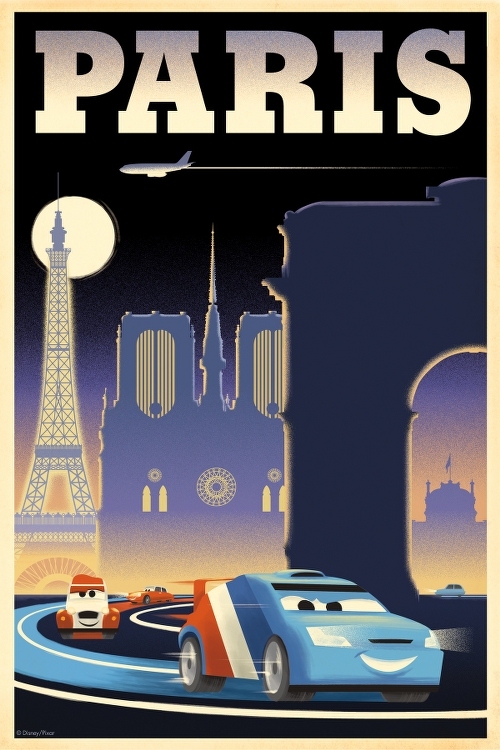 As always, click on the images to see a larger version. 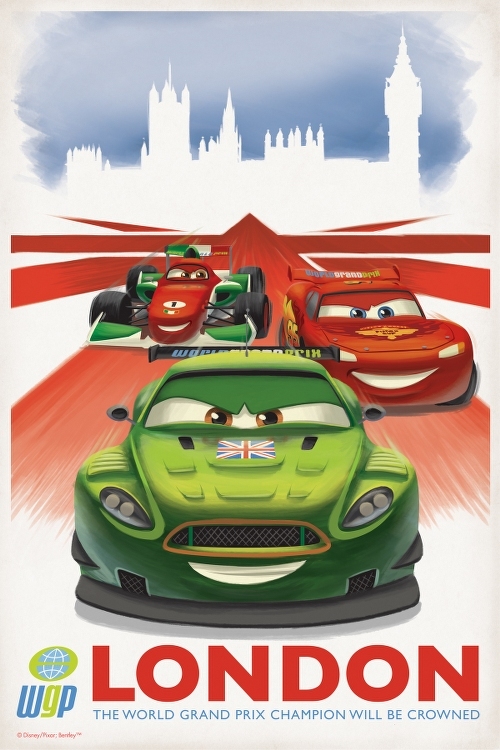 and will be presented in Disney Digital 3D™ and IMAX® 3D.